The University of Illinois has emerged as a top 100 school listed in "America's Top College's" according to a ranking system released this week from Forbes magazine and the Center for College Affordability and Productivity. The rankings were compiled for Forbes by the Washington-based center, and the methodology included factors such as alumni pay (from payscale.com) and prominence (such as alumni listed in Who's Who), student satisfaction, debt, four-year graduation rates and more. Not including U.S. military service academies, only five public schools came out in the top 50. The University of Virginia, at 36, was the highest ranked among public universities. 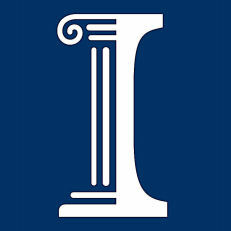 The University of Illinois at Urbana-Champaign was ranked 86, trailing Michigan, which was ranked at 57, but ahead of 144th-ranked Indiana University and 147th-ranked University of Wisconsin-Madison.